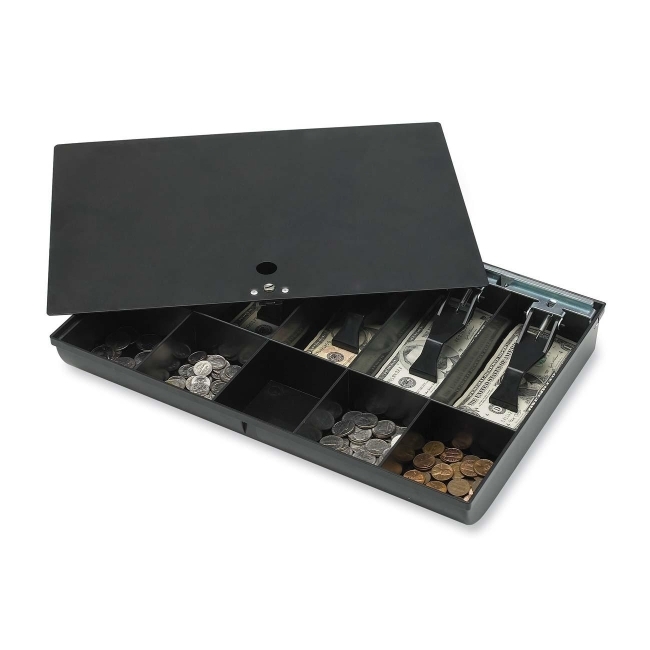 Money tray with locking cover features five compartments for bills/checks and five compartments for coins. Designed for use with Sparcos Cash Drawer with Removable Tray during shift changes. Money tray is made of steel.